We guarantee to fix it. Call 01622 619811 for same day service. Let us help keep you safe. We’re ready to bring state-of-the-art satellite TV services to the people and businesses of Maidstone and Kent. We’ve made our name in Kent by providing customers with a fast and effective service carried out by Technicians who can be trusted to do a great job every time. We’re independent, which means all the advice we give is impartial, and designed to ensure you get the best satellite service. 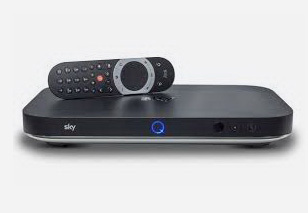 Got a tricky installation that Sky has refused to do? There are plenty of times when the Technicians at Maidstone Aerials & Satellites have stepped in and carried out a satellite TV installation or repair that other engineers have refused to tackle for one reason or another (usually because of height restrictions). So if you’ve been let down by another supplier, give us a call and we’ll be able to find a solution that works. Professional and courteous service coupled with outstanding expertise. If you’ve been disappointed by the standard of service you’ve received from other satellite TV providers, or you’re new to the Maidstone area and want to see how brilliantly we do things down here, give us a call on 0800 316 2715 . Which one’s best for you? We’re independent experts so just ask. Our same day service covers all types of satellite installation and repairs across Kent. So if you live in Margate or Ramsgate, Whitstable or Chatham, Rochester or Dartford and anywhere else in the county, (including Maidstone, of course) you should be calling us first. Local knowledge goes a long way. Our technicians are fully trained and locally-based, and they know satellite. 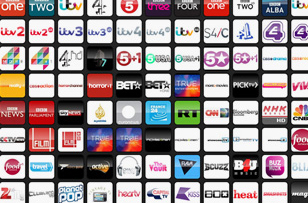 We’re ready to help Kent residents and businesses enjoy amazing satellite TV. All our quotes are competitively priced to ensure you get the best value for money. © 2017 Maidstone Aerial & Satellites, All Rights Reserved.